Just wanted to spread the word on this great product I found online. Haven't you noticed that every time you have a beverage in the factory cup holder that damn drink seems to always hit your arm when trying to shift? This cup holder was designed to address that issue. I find it to be very practical. Stays in place when challenging lateral forces thanks to the rubber grip underneath. 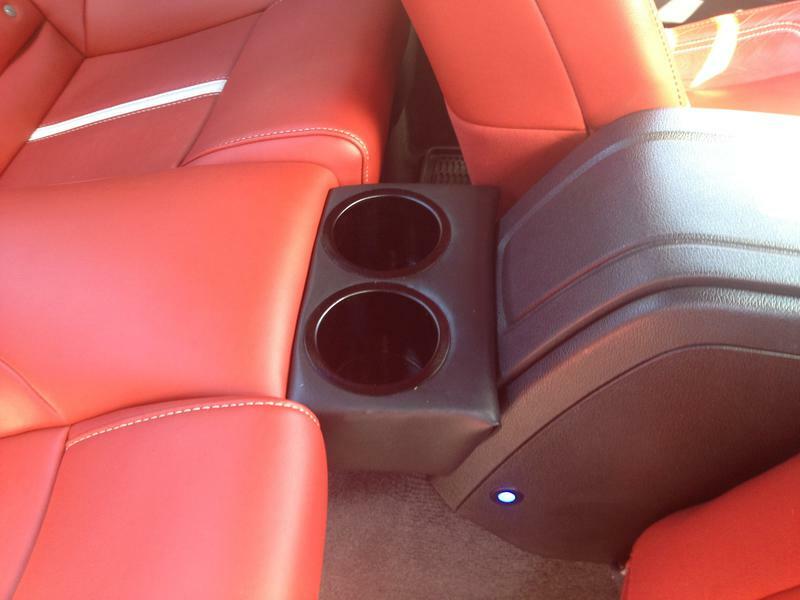 1) The original design is shallow which holds not so tall beverages and you can still open your center console. 2) The new design holds taller beverages and comes in 2 designs. The tradeoff is that you have to remove it when you want to open the center console. Seller was very easy to work with. He promptly replied when I emailed him at [email protected]. I sent him a personal check and he sent the item as soon as the check cleared. It was fast free shipping.